Honeywell supplied the space surveillance sensor for Sapphire a Canadian defense satellite launched in 2013. This is an artist's rendering of the Sapphire satellite produced by spacecraft manufacturer MacDonald, Dettwiler and Associates, now Maxar Technologies. MOUNTAIN VIEW, CALIFORNIA – In February, Honeywell Aerospace plans to formally open its Space Division’s Greenhouse, an incubator focused on slashing the cost and time required to produce key technologies like optical intersatellite links for small satellites. The satellite industry is changing quickly and “we have to evolve,” Marina Mississian, Honeywell Aerospace Space Payloads senior director, said at the SmallSat Symposium. The market for geostationary communications satellites has slowed at a time when companies around the world are beginning to build small satellite constellations. Increasingly, customers demand reliable satellite components they can acquire quickly and inexpensively. To meet that demand, Honeywell is “picking technologies it is really good at making and bringing them into this new age,” Mississian said. Honeywell has 25 full-time employees working in the Greenhouse established in the Ontario, Canada, facility that was home to Com Dev International before Honeywell acquired the satellite component builder in 2015. The Greenhouse also pulls in expertise from the larger company. Initial projects for the Greenhouse including optical intersatellite links, reaction wheels and optical imagers. In many cases, the Greenhouse is drawing on technology it applied to government contracts. For example, Honeywell developed key technologies for its optical intersatellite links under government programs including NASA’s James Webb Space Telescope. Now, the Greenhouse is harnessing that expertise to offer a reliable product for customers “at a price point appropriate for the small satellite market,” Mississian said. A key component of that exercise is cutting production time from days to hours, she added. The Greenhouse already has a prototype of its optical intersatellite link, which it plans to space qualify by the end of 2019, Mississian said. 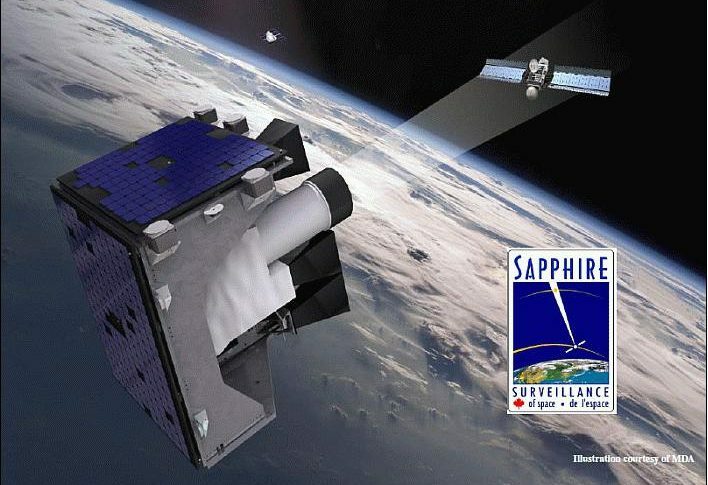 Another Greenhouse project is focused on new applications for the optical sensors Honeywell produced for Sapphire, a Canadian space surveillance satellite sent into low Earth orbit in 2013 to observe objects in geostationary orbit. “We are using our existing heritage, know-how and lessons learned over years of experience and bruising and building on it,” Mississian said.